If you need to create a poster for a particular dubstep or electronic music DJ performance, you can use this DJ set vector. It has many music equipment illustration inside the zipped folder. 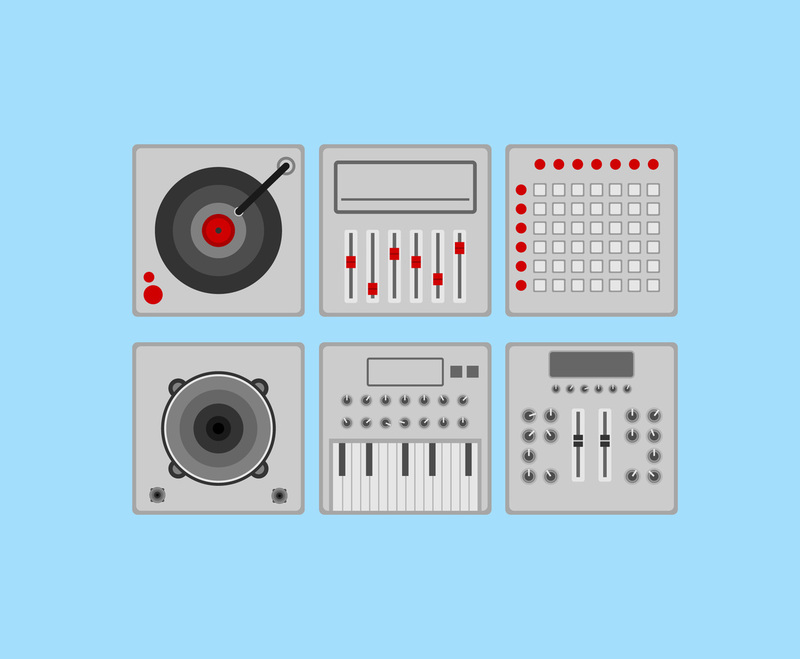 They are amp, speaker, turntable, keyboard, midi and synthesizer illustration which you can use in music poster design.